The Snapdragon Wear 3100 is likely to feature in many next-generation wearables. Qualcomm held a launch event for it yesterday (September 10, 2018). The company claimed it will bring improvements in battery life and usability. The Wear 3100 is also to be used by new, high-end players in the wearables game. 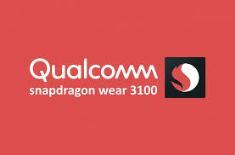 The Qualcomm Snapdragon Wear 3100 is likely to power many of next year's smartwatches, and also possibly some wearables. It has been officially launched during an event in San Francisco. The new platform was introduced by Andy Murray, a senior vice president at Qualcomm. He highlighted its new, ultra-low-power (ULP) structure, as well as its new digital signal processor (DSP) and improved integration with Google's Wear OS. The Snapdragon Wear 3100 also has a 4G/LTE modem for enhanced data speeds and connections. Qualcomm also announced that it has a new subsystem for power management. This may help support the company's claims that it can optimize the power usage of functions such as GPS, voice queries over Bluetooth or WiFi and sensor data processing. Qualcomm also estimates that the Wear 3100 could help a wearable's battery last 4 to 12 hours longer compared to its predecessor. Therefore, the usual suspects such as LG and Huawei may integrate the Wear 3100 into their upcoming high-end wearables. However, Qualcomm also devoted part of its San Francisco launch to announce partnerships with brands that, while quite familiar in the luxury accessories market, are relatively unknown in the smartwatch space: Mont Blanc and Louis Vuitton. Mont Blanc will be releasing the Summit 2 smartwatch, while Louis Vuitton's new similar offering is to be called the Tambour Horizon. Both will be powered by the Wear 3100, as will the follow-up to Fossil's current line of smartwatches. Therefore, the Wear 3100 will be involved in an enhanced diversity of smartwatches in the coming year, even if some of them are likely to be prohibitive in terms of price.